Famous people are like us in many ways. They are born, they pay taxes, they make estate planning blunders, and they die. A recent article discussed several of the more common estate planning mistakes and the famous people who committed them. Perhaps the worst estate planning blunder is failing to create an estate plan. 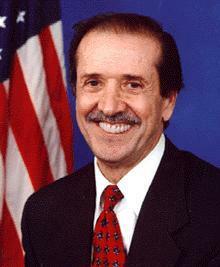 When entertainer and Congressmen “Sonny” Bono died unexpectedly in a 1998 skiing accident, he left no estate plan. Therefore, his wife had to petition the court to administer his estate and continue his business ventures. If anyone should be able to draft his own will without incident, it would be a former Chief Justice of the United States Supreme Court. However, even United States Supreme Court Justice Warren E. Burger couldn’t get it right. Burger drafted his own will, which contained simple errors, failed to address important things, and cost his family $450,000 in taxes. Importantly, a person’s estate plan should grow and change with him or her. Sometimes an out-of-date estate plan is worse than having no estate plan at all. When Actor Heath Ledger died at a young age, he had a will prepared. However, the will was drafted before the birth of his daughter, Matilda, and therefore left nothing to her.